WHEN WOMEN DIDN'T COUNT is a study of the ways that women have appeared and disappeared in federal statistics. It is also the winner of the Margaret T. Lane / Virginia F. Saunders Memorial Research Award. Readers will learn why a report on farm wages ended with an angry denial of charges that farm life drives women insane, why department store owners hired ex-prostitutes as managers, and why the number of women-owned businesses appeared to suddenly drop by 20 percent in 1997. GREENFELLAS is a comic crime novel, with issues. 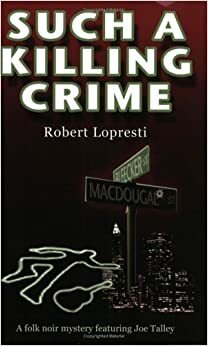 When a New Jersey mobster becomes a grandfather he decides it's up to him to save the environment, and he will use all his Mafia skills to do it. SHANKS ON CRIME contains thirteen comic stories about Leopold Longshanks, a mystery writer. He just wants to be left alone to write his books, but friends keep bringing real-life mysteries to solve. Eight of the stories appeared in Alfred Hitchcock's Mystery Magazine; four are brand new. "All the stories are clever, witty, and well written, and I always enjoy an author’s comments on his own work. If you haven’t met Shanks before, this book provides an excellent chance to get acquainted." -Bill Crider, in Mystery Scene Magazine. 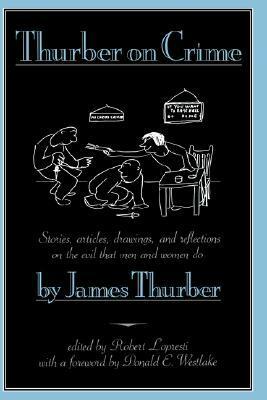 THURBER ON CRIME, conceived and edited by Robert Lopresti, contains all of James Thurber's stories, nonfiction, and amazing illustrations on the subject of crime. Besides acknowledged classics like "The Macbeth Murder Mystery," and "The Catbird Seat," the book includes material that has never previously appeared in book form, including four short stories, an essay about the famous Prohibition agents Izzy and Moe, and some of the master's wonderful drawings. "Crime seems as American as apple pie in this assemblage...The delightfully unpredictable writing is enlivened by his jaunty cartoons." - Publisher's Weekly.